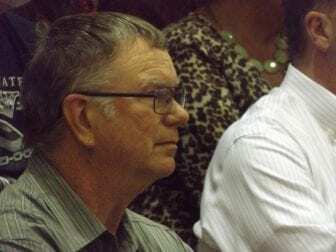 VAN ETTEN, NY (WSKG) – Dozens of people sat in the bleachers of the Spencer-Van Etten Elementary School gymnasium for a public hearing on Wednesday detailing the plan to dissolve the Village of Van Etten. Dozens of people listen to changes as the Village of Van Etten transitions to being part of the Town of Van Etten. 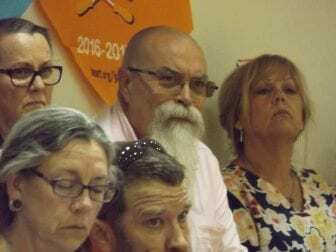 It’s been six months since residents voted to dissolve. That would have the Town of Van Etten absorb village services. The Center for Governmental Research, a consulting firm out of Rochester, gave the presentation on Wednesday. Echoing through the gym, they explained how village residents could expect an 11 percent drop in their real property tax rate and that the mayor and village board would be eliminated while the water operating duties would transfer to the town, among other things. They also said fire and EMS would transfer from the village to the same group that protects the town. That process has already begun. “The services provided by the Village of Van Etten are relatively few and they’re realtively easy to transfer to the town,” said CGR’s Paul Bishop. 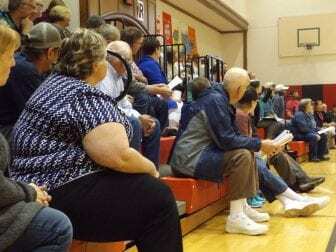 Residents asked questions and made comments about things like the fire department and snow removal, but the overall mood was more subdued than it had been at times last fall, when there were accusations of foul play on both sides of the debate. Van Etten Village Mayor Jake Briggs. Briggs was against eliminating the village, but doesn’t see a reason this plan won’t pass the village board. That vote is June 18. After that residents can still circulate a petition to force another dissolution referendum. If that doesn’t happen and the current plan goes through, the Village of Van Etten would dissolve on December 31st.